Cardozo College was evacuated mid-afternoon on Sunday after a washer-dryer in the building malfunctioned, according to the Setauket Fire Department, which responded to the incident. “It was a malfunction in one of the washer-dryer machines in the basement and that caused a small smoke condition,” Scott Gressin, assistant fire chief, said. Students were allowed back in the building before 2:30 p.m.
Kimberly Pokstis, a sophomore psychology major who lives in Cardozo, said that she was in the shower when the alarm went off. She wasn’t sure it was real until she got a text from her suitemate, she said, and RAs were telling residents they had to leave the building. 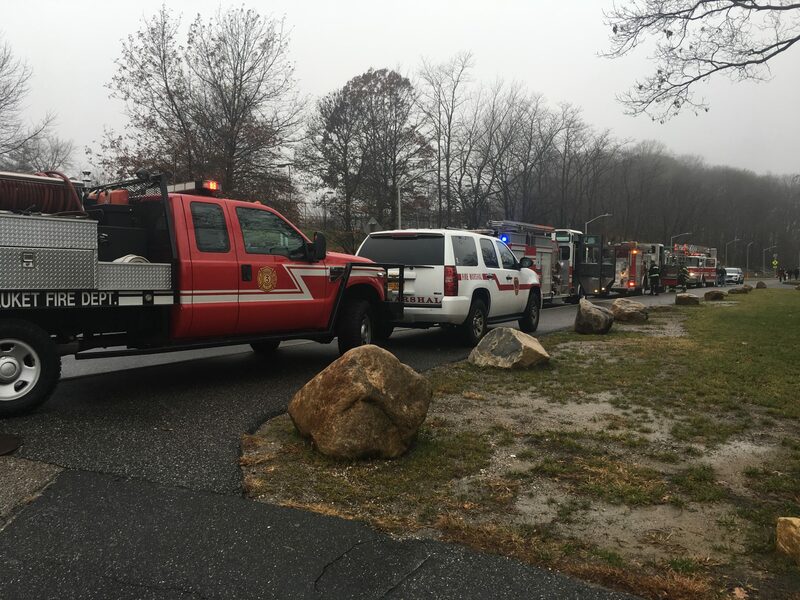 An update from Suffolk Fire Wire on Twitter said that there was minor smoke in the building and an isolated fire in a clothes dryer. No injuries were reported.